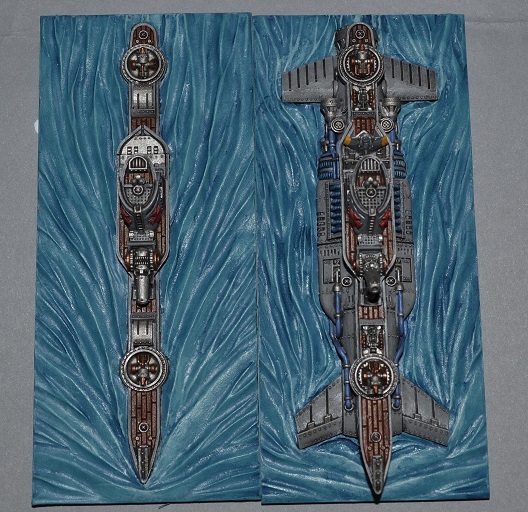 Dystopian Wars – Prussian Wolf Pack Flotilla – Sturmbringer Class Submarine (and Tiny Flyer!) | Blood Shines Gold And All Coin Spends. However I also do commission painting and now and again, everything lines up nicely. 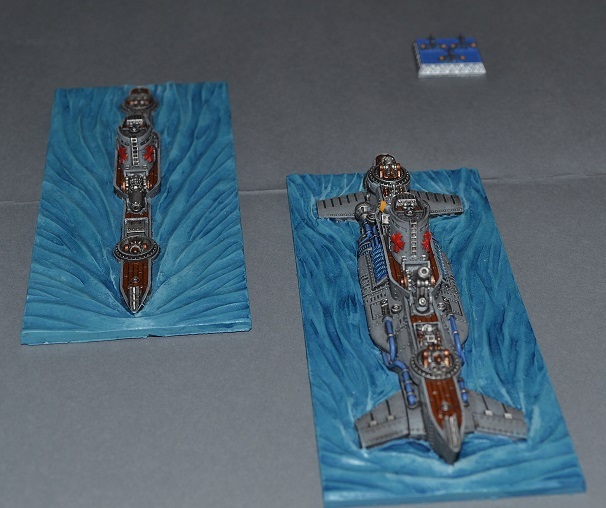 One of my clients is just getting back into Dystopian Wars with the release of the new rulebook and has started passing things my way. Starting with the most steam punk, I’ve plumped for the Wolf Pack Flotilla as my opening project! 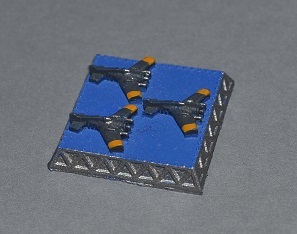 The challenge of doing these was simple, as there are two models for the same sub they needed to be identical and also match the flyer token. Though careful comparison and painting, I think I’ve nailed it! I’ll be adding the rest of the box as I work my way through. As ever, comments are welcome!